Jayci Thomas joined Classical Movements in 2007. With a bachelor’s degree in performing arts, specializing in dance, she’s performed in many locations around the United States, as well as internationally, traveling to more than 20 countries. 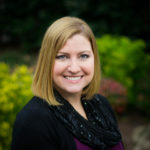 Jayci also has many years’ experience planning and executing operations for ensemble tours in both the U.S. and abroad. While working at a non-profit organization, she organized group trips to over 15 countries. In addition, Jayci has managed on-site logistics for and served as tour guide to groups as large as 120 people on historical trips to Washington, D.C., New York City, Philadelphia and several other cities across America. On behalf of Classical Movements, she’s traveled through Europe, Australia and South Africa. Jayci enjoys travel, photography, spending time with family and friends and being crafty with yarn and fabric.